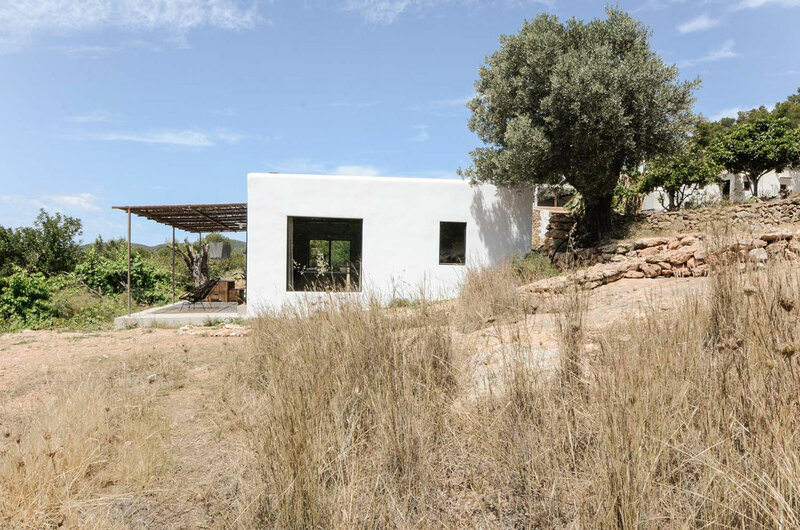 On a remote mountain field in the rugged north of Ibiza lies this beautiful island home. 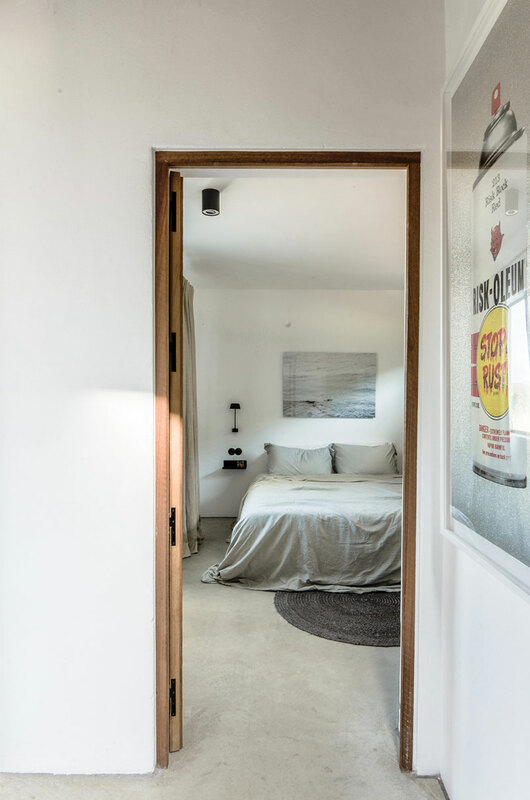 What formerly served as a workshop and storage, has now been turned into a contemporary dream house. 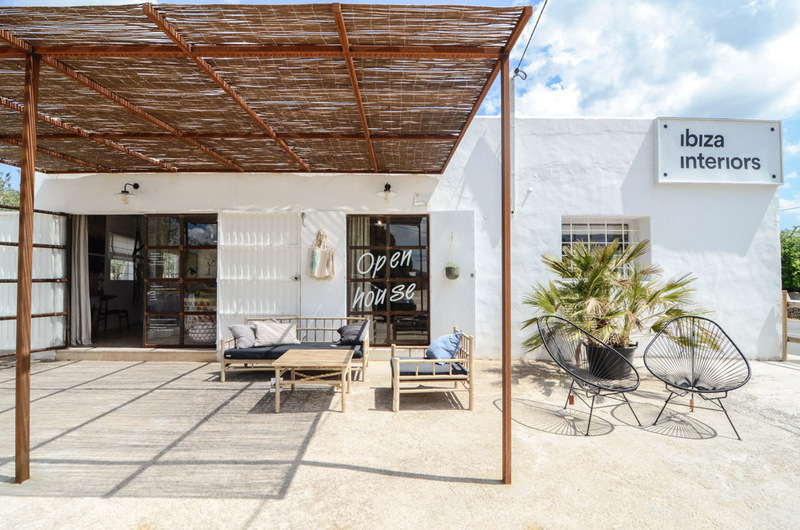 The owner of Ibiza Interiors and The Nieuw developed this 100 year old warehouse into a design guesthouse and showcase project, called the Ibiza Campo Loft. When interior architect Jurjen van Hulzen saw the structure and location of the building, the concept for the design was born. Concrete columns and steel beams were carrying a typical Ibizan ‘sabina beam’ roof. 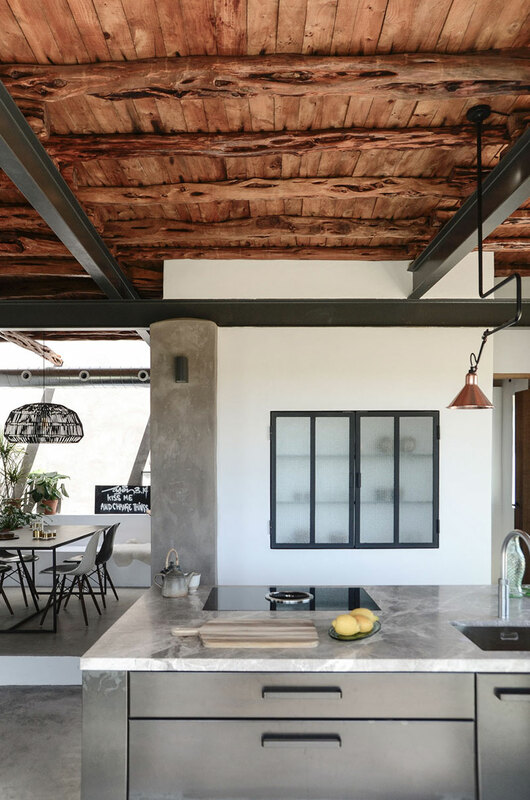 A mix of the industrial structure combined with the rustic roof formed the concept for the rest of the design: an interesting play and contrast between rustic and industrial. 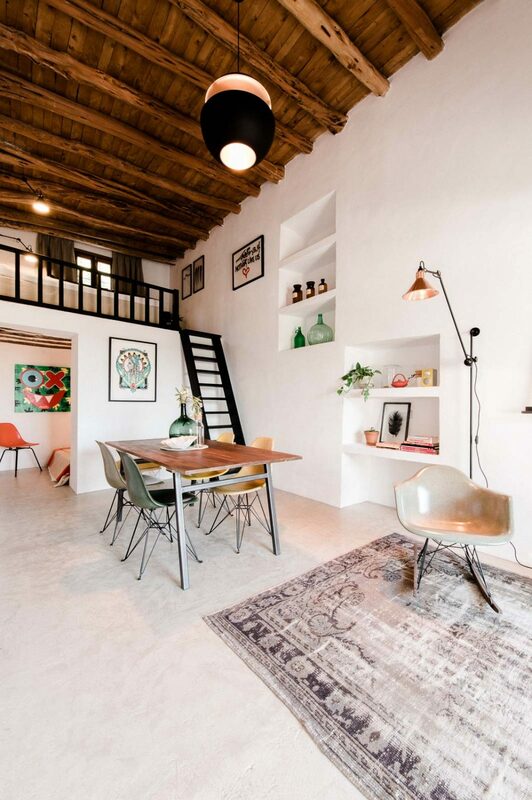 That’s also how it’s got the name ‘Campo Loft’, which basically means ‘industrial living space on the field’. 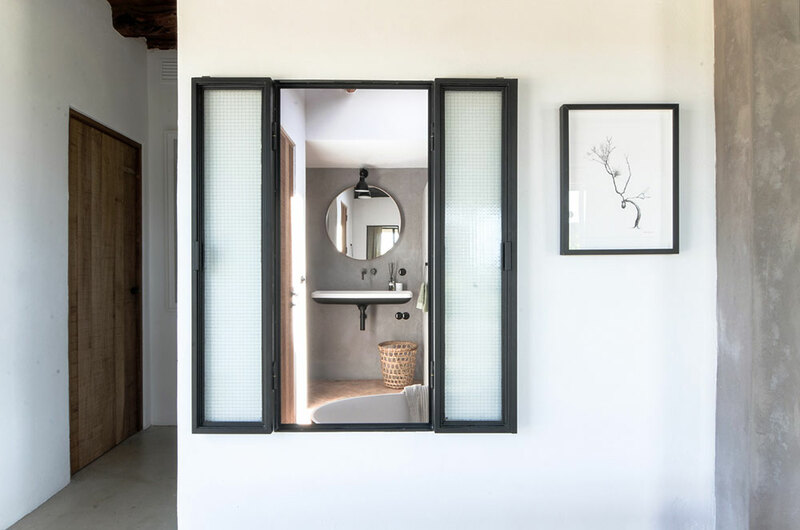 The beautiful traditional building structure has been preserved to keep the character of the typical Ibizan architecture. 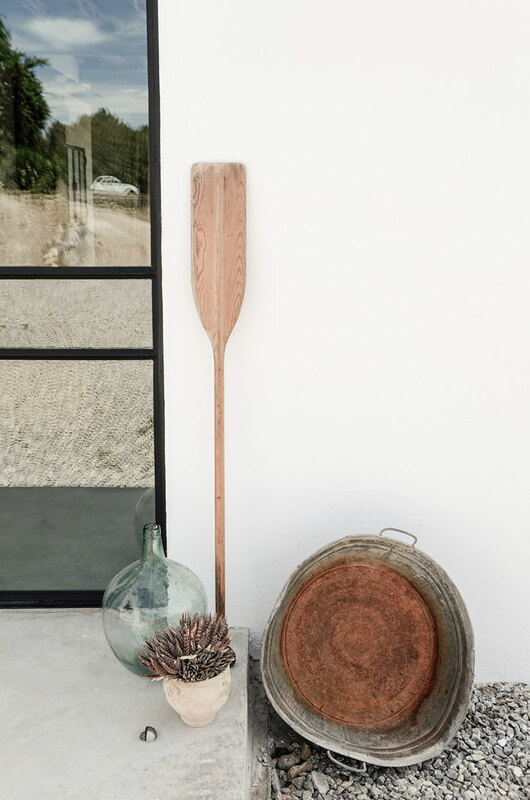 Basic and local materials have been used; a concrete floor, chalk and mud plastered stone walls and ‘sabina beams’ made from trees that only grow on the island. A new material that has been incorporated into the house is steel. 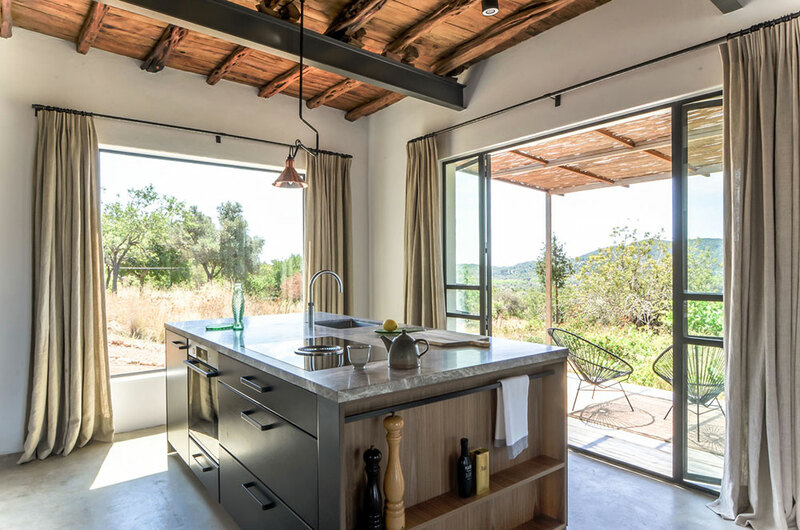 A powdercoated steel is used for the window frames and doors, and there’s a custom made hot rolled steel kitchen. The building had been unused for many years, and was in very poor condition. Therefore only the walls and parts of the roof could remain. Electricity, water and sewage were not present, the architects had to add all these things to make it work as a contemporary home. Water comes from a private well and there are solar panels installed for hot water, floor heating and electricity. The house is consequently completely independent of the grid operation and is thus self-sustainable. 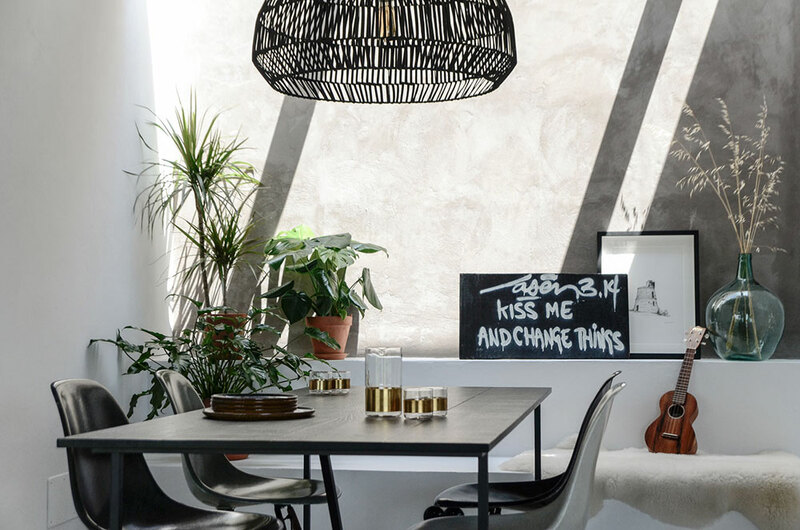 Owner Jurjen van Hulzen designed a well thought through floor plan, with a big open space on the south side of the building, with views all over the valley. The main space is connected to the big private terrace. The two bedrooms have been place on the north side corners of the building, to keep them dark and cool. 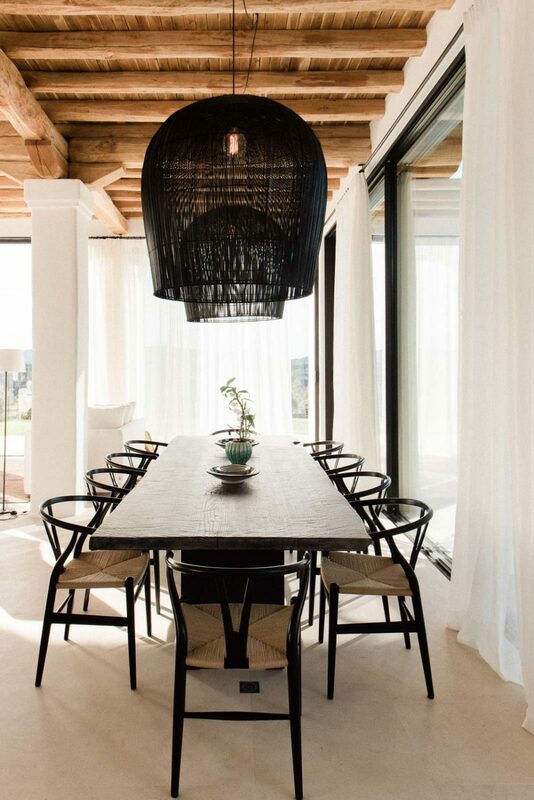 Then there’s a dining space with build-in bench and roof light, that really made this ‘lost’ space part of the loft. And a bathroom with free standing bath with openable windows, to be able to get a fireplace and nature view when you’re bathing. 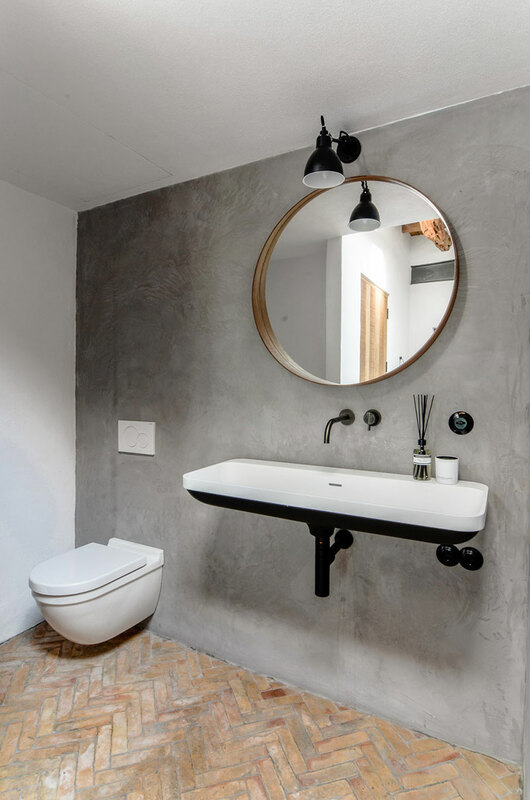 The bathroom has herringbone pattern floor made from terra cotta tiles, a modern interpretation of the traditional floor. 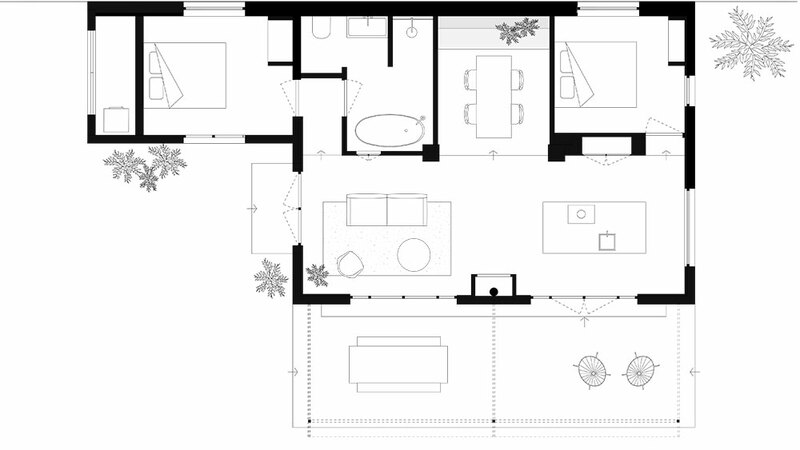 The loft has been designed to become a comfortable and modern space. 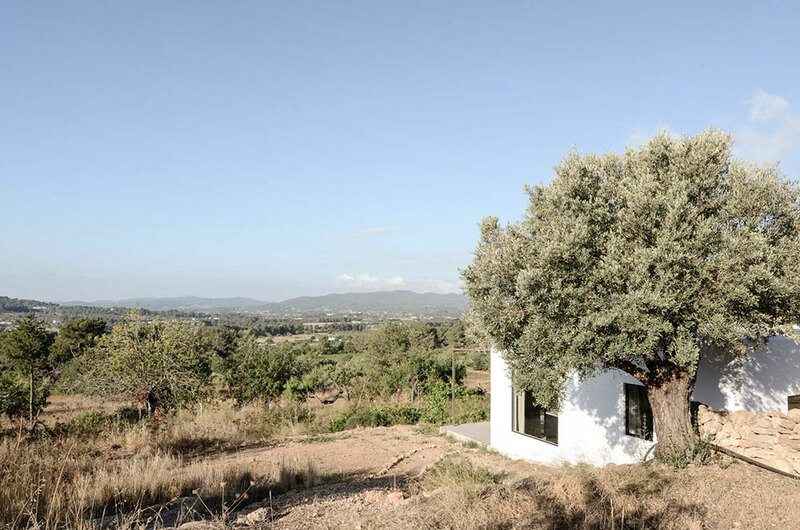 A house with a basic, natural but high-end character. 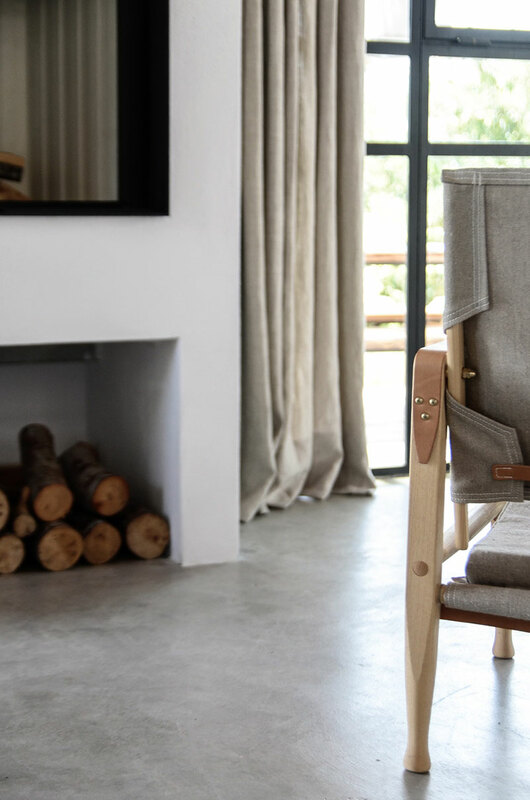 To finish of the design they have collaborated with their familiar project partners, for instance: linen curtains from Etoffe Unique, 100% natural beds from Coco-mat, and all the furnitures, lighting and carpets are from their partner store The Modern. The urban and rough steel kitchen island with marble top is from Eginstill. And the walls have been decorated with art from the Amsterdam based gallery Vroom&Varossieau. 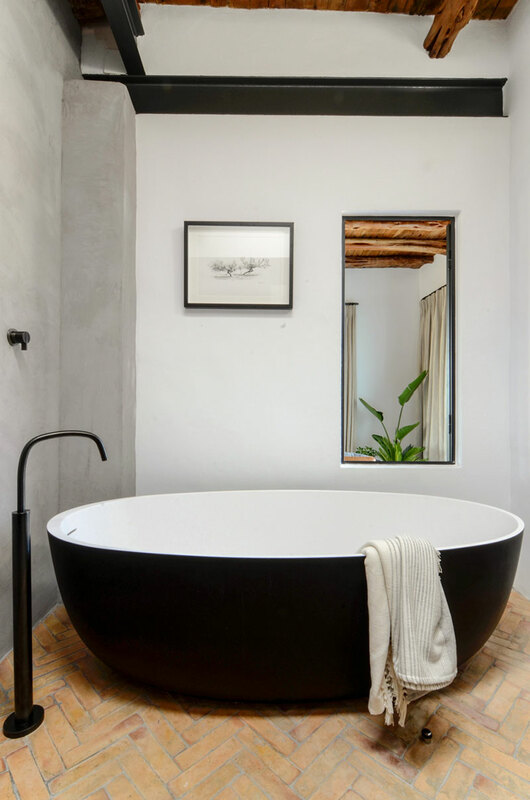 They’ve used the bath and sink from Not only white, and the taps and shower are designed by Piet Boon for Cocoon. 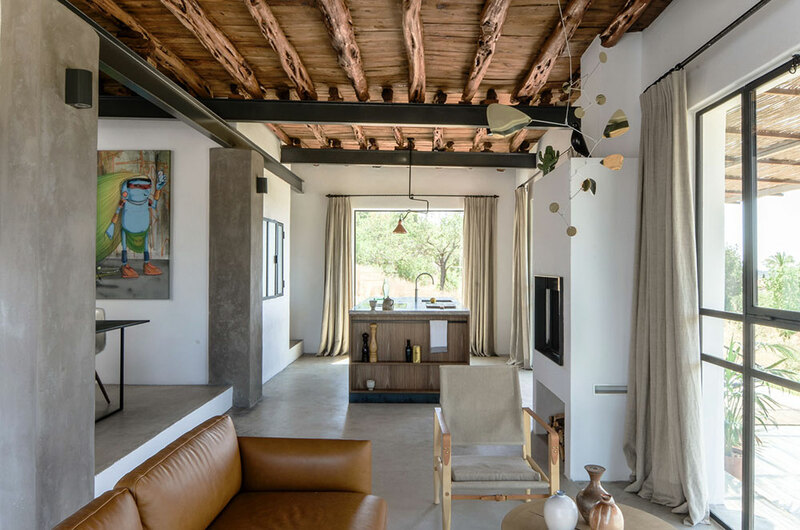 The result is a fantastic contemporary natural residence where contrast plays a big role; old and new, sleek and rustic, light and dark, rough and soft. At the same time there’s a certain balance as well, and everywhere you look something is happening. 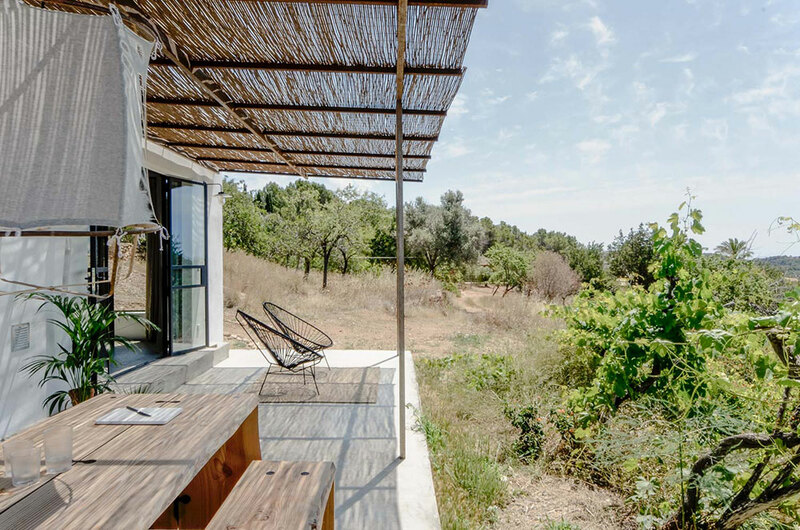 With an incredible view from the mountain, a yoga platform on the roof and many fruit trees and a vegetable garden, this is truly a piece of paradise. A unique place to relax and unwind, designed by and for design lovers. 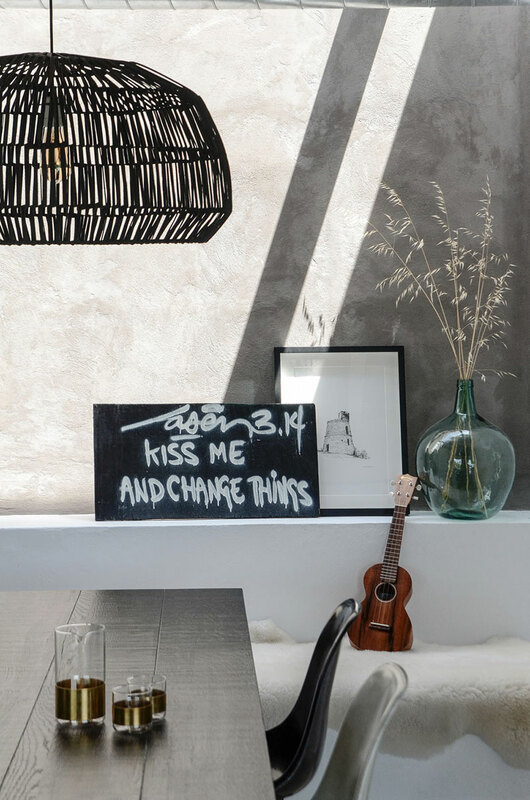 An architectural transformation from garage to contemporary loft in Ibiza. 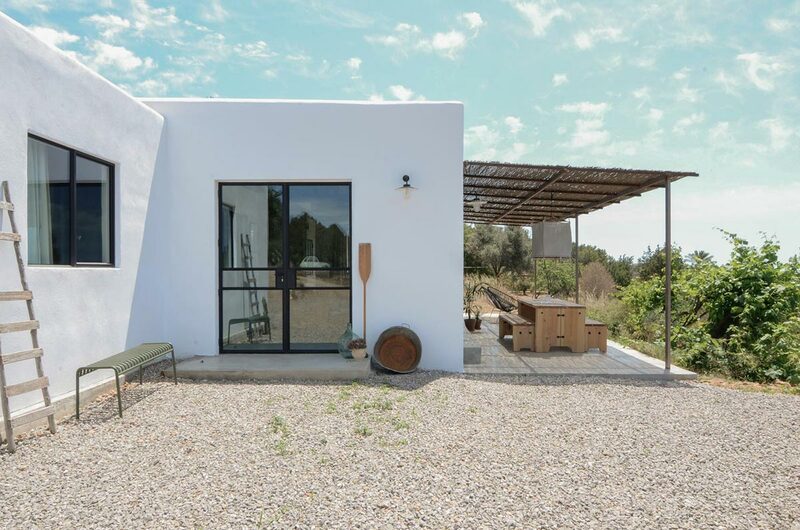 Designed with a rustic and industrial concept to match the original character of the building and location, a beautiful finca on the white island.